Students on the campus of the University of Pennsylvania. Eastern Pennsylvania colleges have a leg up on the rest of the state, according to data and research site Niche. In the site’s statewide rankings for 2019, seven of the top 10 colleges in Pennsylvania are located in the eastern part of the state, including the rankings’ top two institutions, the University of Pennsylvania and Swarthmore College. Swarthmore was named Niche’s No. 4 liberal arts college in the country. Four of the top five schools on the list — No. 1 Penn, No. 2 Swarthmore, No. 4 Haverford, and No. 5 Lehigh — are local schools. The only institution breaking up eastern Pennsylvania stranglehold is Pittsburgh’s Carnegie Mellon University. No. 7 Lafayette College (in Easton), No. 8 Bryn Mawr College, and No. 10 Villanova University round out representation in the list’s top 10, with No. 6 Bucknell and No. 9 Penn State representing the central portion of the state. 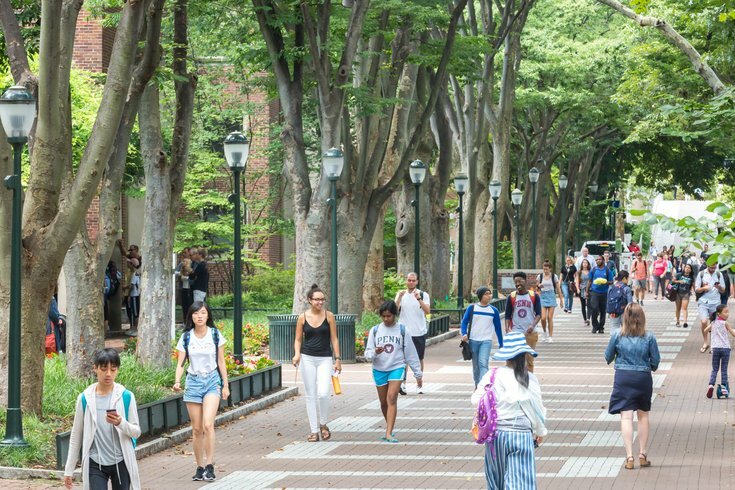 A few Philadelphia schools can be found a bit further down the list: Temple University comes in at No. 14, Drexel University clocks in at No. 16, St. Joseph’s University ranks at No. 21, and University of the Sciences comes in at No. 23. Niche used data from the U.S. Department of Education, and reported data from its own user base. The site weights academics (40 percent) and value (27.5 percent) as its two most important factors in the grades; the academics factor includes acceptance rates and alumni surveys, while the value factor includes average student loans and alumni earnings. Other factors Niche took in to account: professors, campus quality, diversity rates, student life, and campus safety.